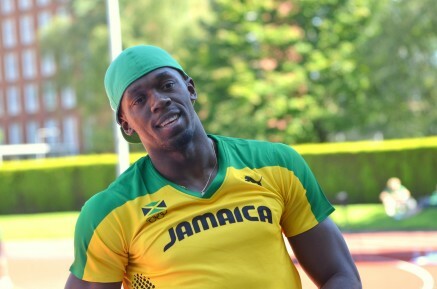 One week after posting 19.96 in Trinidad, Usain Bolt (JAM) was just a fraction outside his personal best with a 19.89 secs clocking in the Reebok Grand Prix in Randall’s Island in New York. The World Junior record holder led coming off the turn but was passed by Wallace Spearmon (USA) in the final 50m, Spearmon recording 19.82. The hot and humid weather conditions were not suitable for long distance running. Micah Kogo (KEN) took 2nd in a very strong 5000m field in 13:13 behind Tariku Bekele’s 13:04. Behind Kogo, Boniface Songok finished 5th. World silver medallist Delloreen Ennis-London (JAM) posted 12.76 secs to finish 3rd in the women’s 100mH. Diane Cummins (CAN) placed 3rd in the 800m in a season’s best 2:00.36. Countrywoman Carmen Douma-Hussar (CAN) finished 4th in the 1500m in 4:08.